Milk works great even for development of muscle mass. Milk has best source of calcium and protein and highest fat level. Whole milk keeps your muscles sustained even after rigorous exercise routine. Milk reduces fat intake. It can boost your muscle and you will develop big muscles faster and easily maintain them. Take milk daily is best. You are very lucky if you like seafood. Varieties of fish are ideal for muscle building and maintenance as well. The presence of omega-3 fatty acids in fish like tuna and salmon are vital in building block for muscle and development of tendon. Have fish in your diet to regulate body pressure, metabolism, and oxygen levels too. One or two eggs a day build your muscles and keep it healthy. Egg whites have protein which is the best building block of muscles. Eggs have all nine essential amino acids required for recovery of muscle and building of muscles. Egg helps you to maintain lean and healthy muscle. 9. How to Build Muscles without Hitting the Gym? Chicken Breast is the super food to achieve lean muscle. It’s the great source of lean protein that repair muscle tissue and cells that got damage during heavy training. Eat baked, roasted or grilled chicken breast for lean muscle-building protein in the diet. Be sure to get good body build up… it works. Have more legumes in your diet for better muscle gain. Protein builds and maintains muscle strength. Legumes include pinto beans, kidney beans, lima beans, lentils etc. Take legumes in salads or soups forms. This aids you a lot in achieving good muscle. Take often as possible. Do you want best lean muscle foods? Use Spinach in your diet. Spinach helps in building strong, ripped muscle. It increases muscle growth. The calcium in spinach prevents cramping of muscles plus the iron content for muscle building. Raw spinach, juice or salad to maximises nutritional value. Take this regularly and notice change in muscles. Flaxseeds have nutrients that are effective for losing body fat and building muscle. It reduces inflammation in the body thus aids in building muscle. The body will not be sore even after work. Flaxseeds heal the muscle faster also. The fibre content boosts energy and increases stamina and has all amino acids that your body needs. Have sweet potatoes to gain muscle mass. The fibre, potassium and vitamin content in sweet potato are great for body building diet. It controls appetite, burns fat and maintains healthy digestion. Thus take sweet potato after workout for best way. It leads you positively to gain muscle healthily. 18. 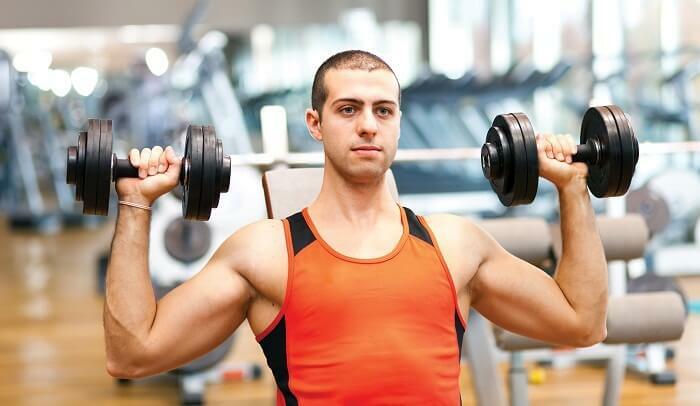 Tips For Bodybuilding Training. Figs and Raisins when taken on regular basis aid you to gain body weight. Take soaked raisins and figs daily to get best body shape. Snack with nuts are ideal to be taken between meals. If you take handful of nuts daily you will notice body gains. You body transforms each day. Take common nuts like walnuts, cashews, flax, almonds etc. Add fruit juices to your daily diet. Have fruits rich in calories like mango, grapes etc. Fruit juices provide active calories and increases your body weight. Have healthy juices for best body building. Start taking today! Delay no more! Act now! Beans are calories high and will not fill your stomach fast as a result you will want to take more food. Have beans in your diet to get fast result by eating healthy foods. It’s easily available… Use it!